This is an exceptional floater of high quality wulfeite from Los Lamentos. The specimen is in excellent condition, no damage. 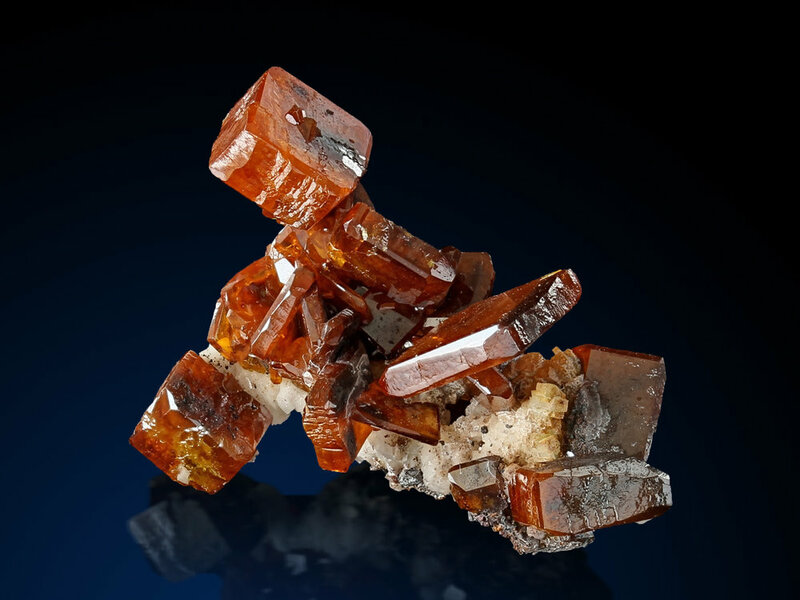 The crystals are deep orange and show an incredible luster. As you can see, the specimen is very aesthetic and can be displayed in variouse positions.